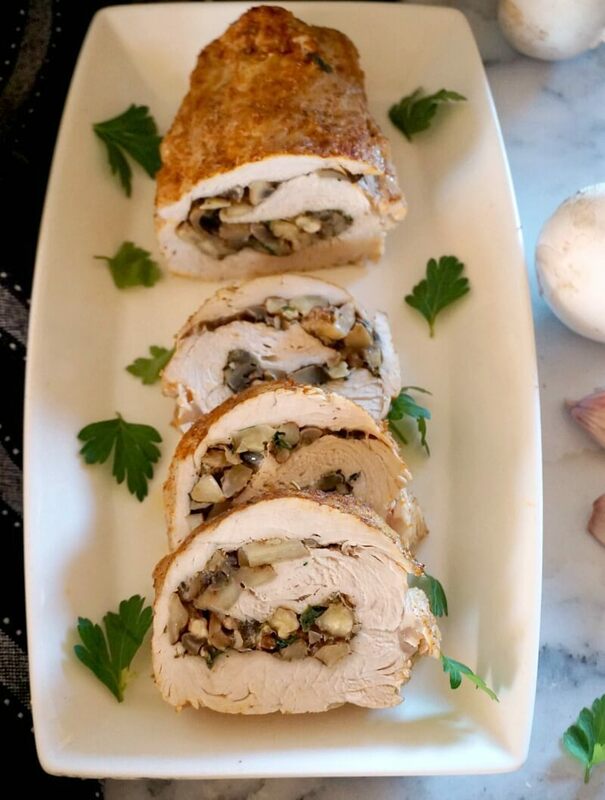 Stuffed Turkey Breast with Mushrooms and Walnuts, an appetizzer that will be the star of any party. It’s absolutely delicious, and as an added bonus, it’s low carb, high protein, gluten free and low in calories (only 473 calories the whole roll). It’s nearly Thanksgiving, and turkey recipes are by far the most searched these days. A nice roast turkey is surely the obvious choice. But if you don’t have a large number of people to entertain, there is no need to waist too much turkey, right? So, how about a nice turkey breast roll stuffed with mushrooms and walnuts, and roasted to perfection? It tastes as good as it sounds, trust me. And, it’s also healthy. And you can actually make it as big or as little as you need, no need for too many leftovers. 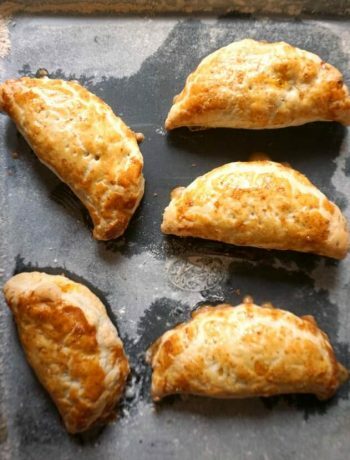 What to serve with stuffed turkey breast rolls? You can either have these stuffed turkey rolls as an appetizer, which is my first choice, or as a main meal, served either with a nice mashed potatoes and some greens,or with some roast potatoes and brussels sprouts. The choices are endless, really, it’s only up to you what you’d like to go for. It can be as fancy or as simple as you like. But one thing is sure, this stuffed turkey breast is one dish you can enjoy not only when it’s a big party coming up, like Thanksgiving, Christmas or the New Year, but all year round. 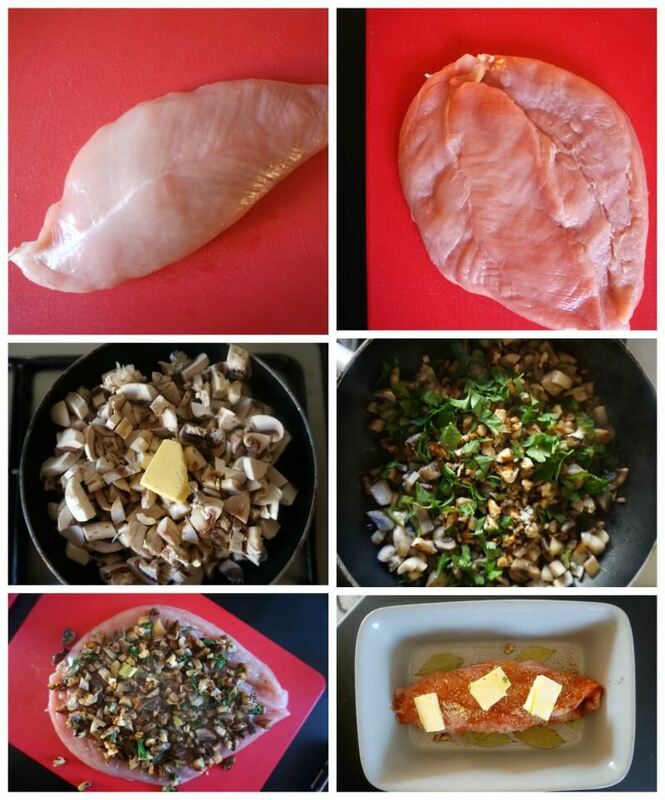 How do you make stuffed turkey breast? Right, so all we need is a turkey breast, or for a smaller roll (like mine) a turkey breast fillet, which we can then flatted it up so we get a about a cm thickness (or half an inch). The mushrooms have to be cooked before, so that all the liquid can be released, otherwise it becomes too messy in the oven, and the filling won’t hold properly. You can use pecans instead of walnuts, and can throw in any other veggies you like. And or, if you are not a mushroom fan, you can omit them altogether and use a mixture of nuts and cranberry sauce instead. How long do you bake the turkey breast roll for? Now, the cooking time depends entirely on the size of the turkey breast. The one I used weighted about 300 g (about 0.66 lb). I cooked it for 20 minutes covered, and 50 minutes without the foil, until it was cooked through and the juices ran clear. So, if you use a bigger breast, leave it in the oven for longer, and baste occasionally. And I can promise you, the wait will be so worth it! 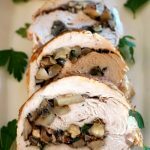 The turkey breast roll ups are not dried at all, but juicy and tender, and the walnuts give a nice crunch, which contrasts nicely with the softness of the mushrooms. I can’t possibly think of a nicer Thanksgiving appetizer, especially if you are a turkey fan, so why not give this a go? 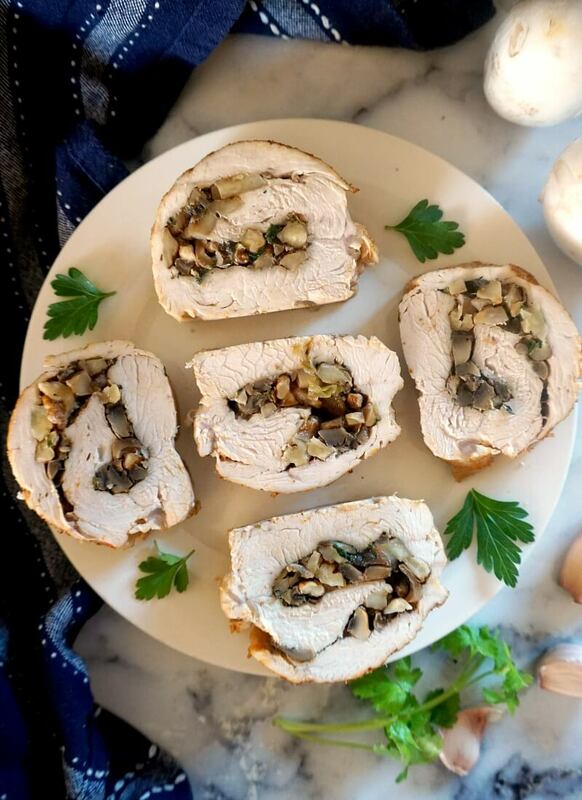 If you’ve tried this HEALTHY STUFFED TURKEY BREAST WITH MUSHROOMS AND WALNUTS or any other recipe on the blog then don’t forget to rate the recipe and let me know how you got on in the comments below, I love hearing from you! You can also FOLLOW ME on FACEBOOK, INSTAGRAM and PINTEREST to see more delicious food and what I’m getting up to. 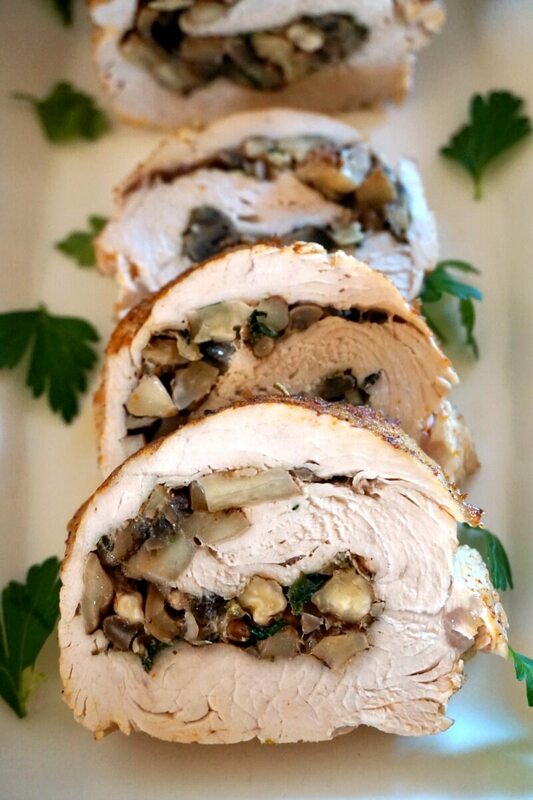 Stuffed Turkey Breast with Mushrooms and Walnuts, an appetizzer that will be the star of any party. 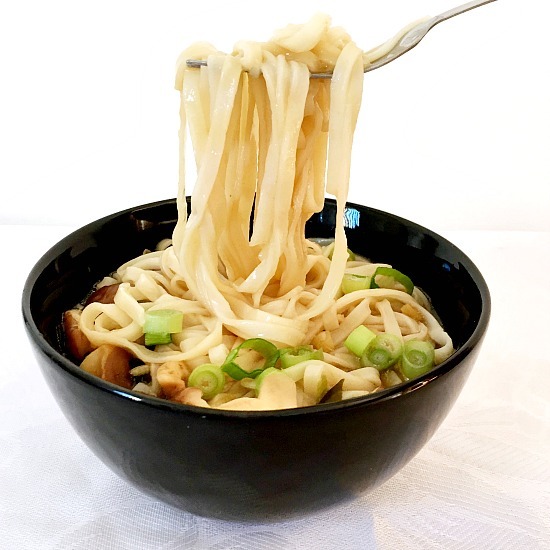 It's absolutely delicious, and as an added bonus, it's low carb, high protein, gluten free and low in calories. To make the filling, chop the mushrooms, garlic and green onions, and add them to a pan together with a bit of butter. Leave to cook until the mushrooms are cooked and all the liquid is released. Season with salt and pepper to taste, and add the chopped parsley, then leave to cool. Add the chopped mushrooms, and sit to combine. Place the turkey breast onto a chopping board, and use a sharp knife to cut it horizontally, but not all the way through. Open it up, then use a meat tenderizer to flatten it up to a cm (half an inch) thickness). Spread the filling over the turkey breast, then roll it up, and use tooth picks to keep it together. 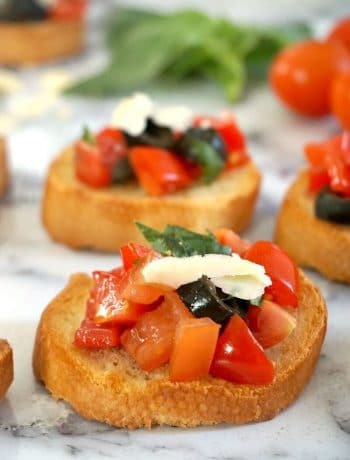 Place it in an oven-safe sish, then places a few butter cubes on top, sprinkle the paprika and garlic granules over, and add the bay leaves too. Cover with a foil, then roast for 20 minutes, after that remove the foil, add a quarter of a cup of water, and cook for a further 50 minutes, basting occasionally. Slice it up, and serve it either warm or cold.